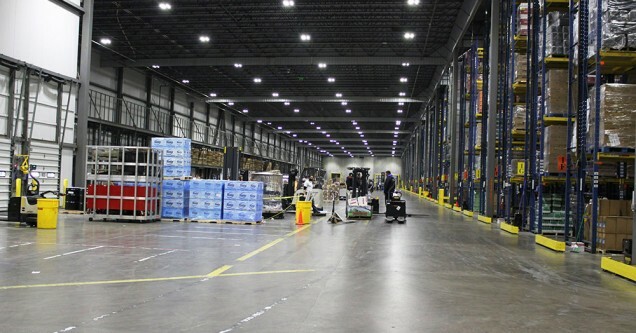 Central Oregon is home to one of the largest food distribution centers in the country. While the client prefers to remain nameless they are happy to have us talk about their results. 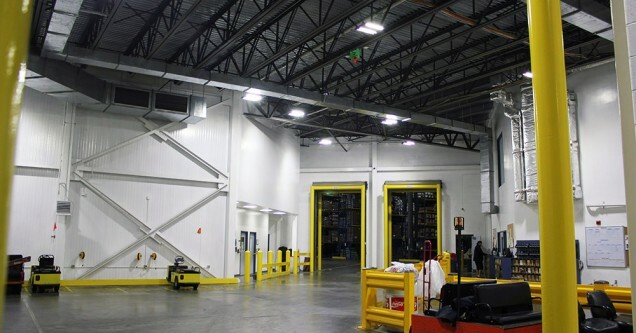 This facility was previously lit with fluorescent lighting throughout their 1 Million Plus square feet of ambient and cold warehouse space. 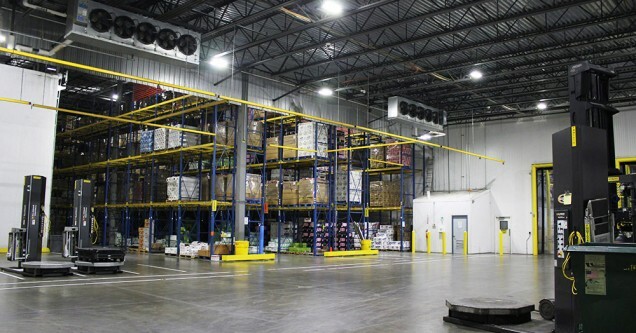 The existing lighting was costly to maintain and operate. Fixture failures meant downtime and maintenance had to be done off-shift so that operations were not affected. With over 1500 fixtures maintenance was a large task! The facility was on a rotating relamping schedule and it was time to relamp the facility. 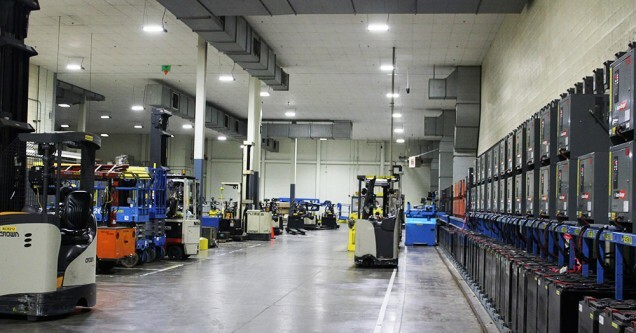 The facility manager had looked into LED lighting before but the payback did not meet their hurdles. He was about to authorize an expensive relamping until he met Relumination. In short time Relumination put together a comprehensive cost-benefit-analysis that showed that payback could be under 2 years and that the majority of the project could be paid for by Energy Trust of Oregon’s generous incentive program. As a Performance + Trade Ally with ETO, Relumination was able to secure almost $600,000 in incentive money for the project. Intelligent LED lighting was implemented and the fixture layout optimized. 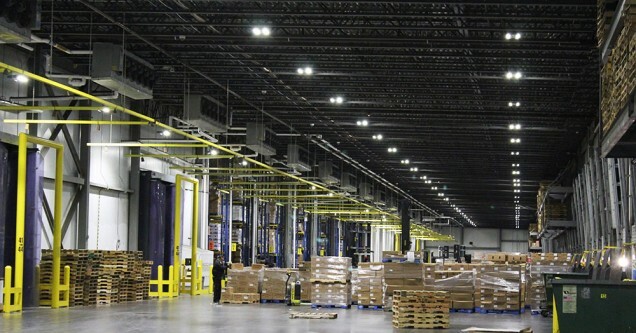 Relumination was able to decrease the fixture count in aisles by 50% by implementing fixtures from Digital Lumens that have amiable light-bars. This reduced the project cost and made installation easier. 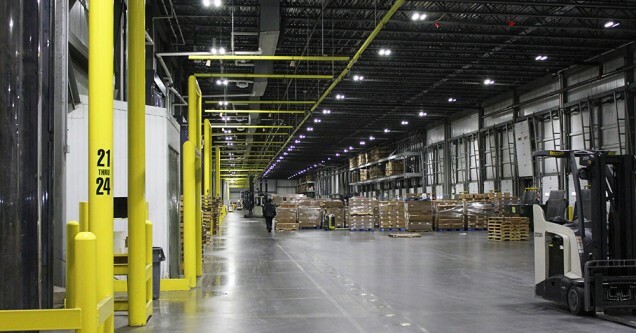 Light levels were increased in key areas and energy-savings was off the charts. Saving nearly 2.5 Million kWh per year! The success of this project led to Relumination being awarded two additional similar-sized projects within 9 months of completion. That decision was largely driven by the company’s CFO who knew the lasting savings would provide a big bottom line boost for the company for many, many years.